Come in and experience what The Future Wave Salon has to offer! 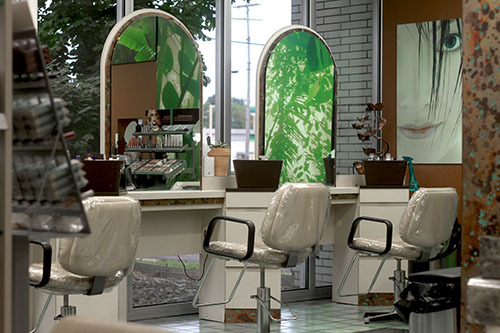 Choose from one of our hair care, esthetic, or make-up services. Here at The Future Wave, we use Aveda products. We care about our earth, that’s why we use Aveda; because natural is better. Spoil yourself with a new trendy haircut, relaxing shampoo, styling, hair coloring, or perm! Let our highly talented hair stylists and specialists help you create the best look for you. Whether it is for a special occasion or just a new look, our staff is dedicated to making you look and feel your very best. We recommend that you consult with your stylist to achieve the look you would like. Improve or enhance your beauty with one of our esthetic services: facials, eyelash extensions, hair removal, etc. Our estheticians will focus on your needs. Special Occasion Makeup Application is perfect for attending Weddings, Special Events, Work & Holiday Parties, Prom, Homecoming, and more!